Bright Falls: Alan Wake Live Action Prequel | A Bright Falls site with downloads, images, videos and commentary on the Alan Wake live action prequel / faux tv show / movie. A Bright Falls site with downloads, images, videos and commentary on the Alan Wake live action prequel / faux tv show / movie. Bright Falls is a tie-in to the Xbox 360 psychological action thriller Alan Wake. The mysteries of Bright Falls are revealed in the Alan Wake novel. Here's several unrelated sites by the creator of this one. Riddled with blasphemy and a humble (but vicious) sense of humor, Double Feature is a weekly podcast pairing two films back-to-back. Free custom start pages themed like your favorite band, movie, or videogame - with your own links and a Google search on it. A band from Toronto combining dream-like imagery and a reserved sense of horror. 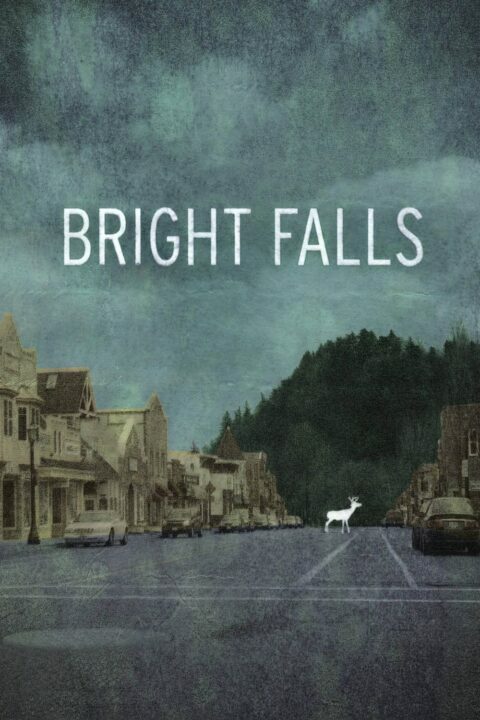 Bright Falls is a mysterious six part mini-series set in the quiet Pacific Northwest town of the same name. When a reporter enters the town as an outsider, he quickly discovers there is something disturbing under the surface. 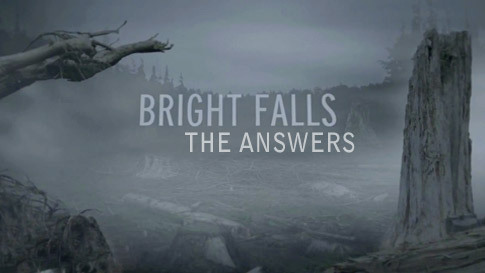 You can watch all six episodes of Bright Falls in order here. Be notified of related project releases and other artsy things! 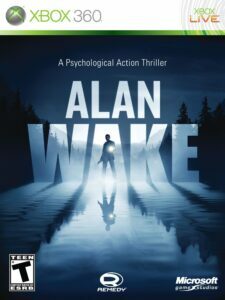 The Alan Wake Novel I wrote about a few months back has made it’s way into the digital era. The novel is now available on Apple’s iBook store. You’ll be able to read it on any Mac, iPad, or iPhone. If you’ll remember, this was the adaptation that was written by Rick Burroughs and published by Tor Books. The digital copy is $10, just like the physical, and was a great way for non-gamers to discover more about Bright Falls via Alan Wake. A year after the game’s release, this is an excellent time for fans of the game to relive the experience as well. Need a little more Bright Falls chat in your life? Less than a week ago some live action Alan Wake footage hit the web. We now know that the footage was part of the new Poets of the Fall video for their song War. You can now view the full video! A mysterious new Alan Wake video has just shown up on YouTube. Since I started this site, the most common email I get is “Can you tell me what’s going on in Bright Falls? I’m frightened and confused.” After nearly one billion re-watches of the entire Bright Falls series, I’m going to lay down what I think happens. That grand theory post is coming! There’s a draft of it sitting right here, it should only be a few more days. I’ve been busy this week securing some very cool stuff for this site – more on that later. As you may have guessed, I’ve also been distracted playing Alan Wake! For those of you who love Bright Falls but aren’t into gaming, there’s now a way for you to enjoy the story of Alan Wake without picking up a controller. 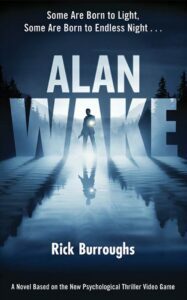 Tor Books has published an Alan Wake Novel. It’s written by Rick Burroughs, and covers the story of the Alan Wake game. At 320 pages and only $10, there’s really no reason not to check it out. I haven’t gotten my hands on one yet (they just came out today!) but I can say the video game’s story is pretty incredible. It’s been several days since the Bright Falls series finale finally went up (you can view all the episodes now). As I continue to prepare an upcoming post on the mysteries of Bright Falls, I have another way for everyone to get their fix: The Bright Falls Atmospheres Montage! The Double Feature page for the Bright Falls episode now includes high resolution cover art! Last year the film podcast did a lengthy analysis of Bright Falls for their The Shining + Bright Falls episode. They just put up a new website, and one of the features is full-on 1000 x 1500 pixel movie cover art. Every single episode has downloadable poster art, and that includes the cover art for Bright Falls! The image looks like it’s a slightly altered version of the teaser movie-poster mockup that has been featured on the IMDB page as well as IGN.com. It’s a real clean version, without all the text and whatnot on the bottom. This would be perfect for your own version of the Bright Falls DVD you’ll never be able to buy at retail. Head over to the site to get the full resolution image. It’s about half way down the page. The Xbox 360 game Alan Wake (on which Bright Falls is based) was finally released today! The Bright Falls series isn’t currently available on DVD – and unfortunately it may never be. Purchasing Alan Wake is currently the best (and really only) way to tell Remedy and company that Bright Falls was a great idea. If Alan Wake sells well, they will measure their advertising as a success. This is the only hope we have of getting more content like Bright Falls, so click that link and buy a copy of the game. There’s an option at that link to buy the Limited Edition. This version is fully loaded. You’ve got the game and manual of course, but there’s also limited edition artwork, in-game audio commentary, the official soundtrack and score, a book (which I’ll get to in a second), and an xbox live bonus disc. 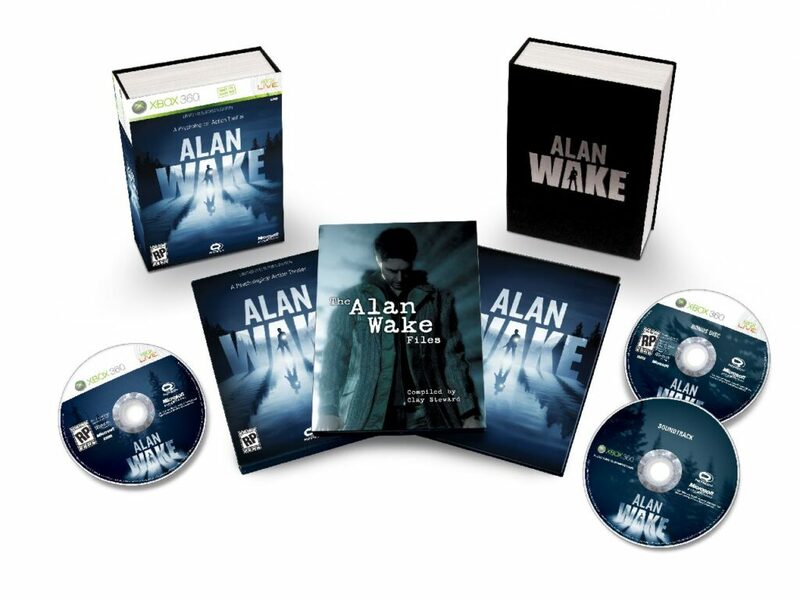 The bonus disc contains: Continue reading Alan Wake Released! Episode six is the last episode. Before you watch episode it, make sure you’ve seen the previous episodes. The time for curiosity, exploration, and mystery solving is over. Self preservation has kicked in, getting out is all that matters anymore. Previously I expressed a fear that Bright Falls would fail to live up to the promise it first showed. As I watched episodes one and two, I remember thinking “there’s no way it will stay this good.” Sometimes as you watch a great film, you can’t help but wonder how they’re going to mess it up. The sense of excitement, the fresh atmosphere, the new and mysterious characters…most times progressing through sadly diminishes these attributes.